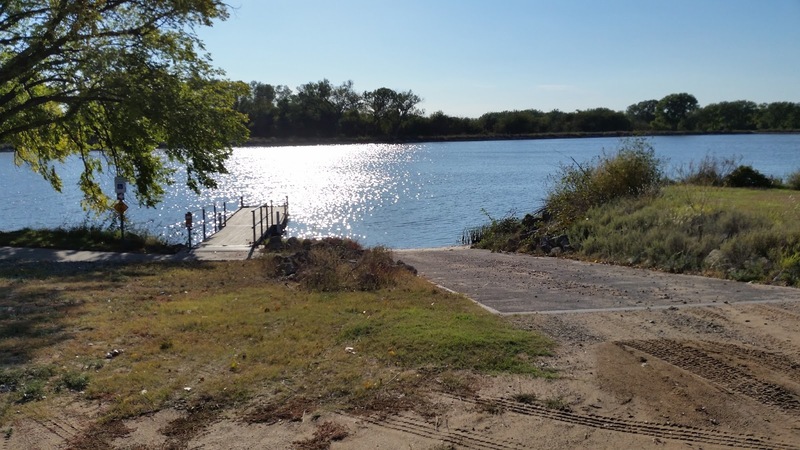 The state of Kansas has set up a number of state fishing areas across the state and you can camp for free at most of them for up to a week. I targeted the Kingman State Lake area for a couple day stay in my continuing movement towards Nashville where I had plans to meet up with an old high school friend. 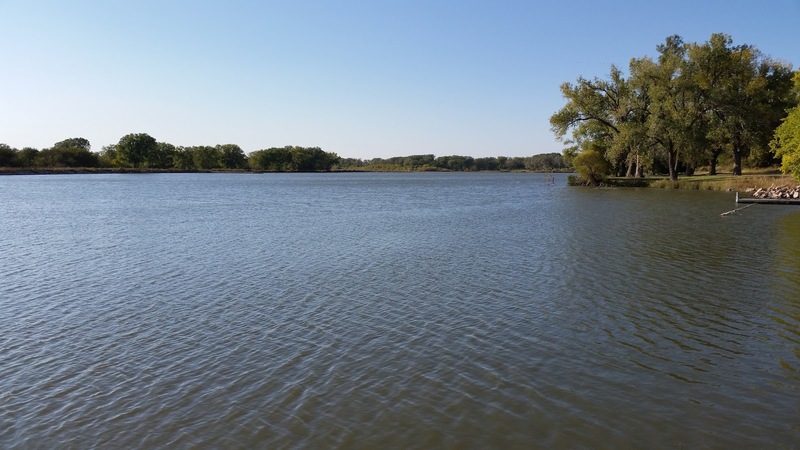 The lake comprises 144 acres of water and has a maximum depth of 11 feet. 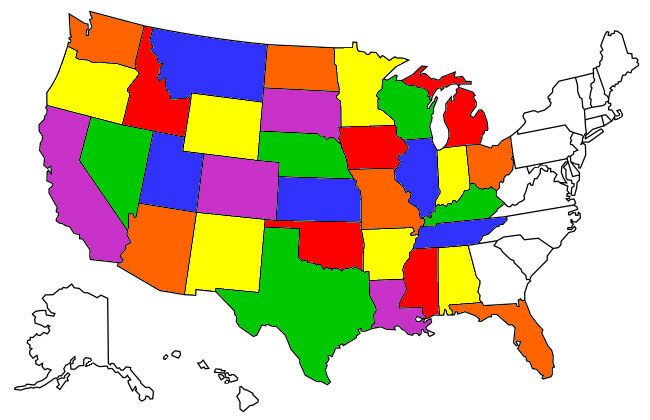 Among fish species anglers fish for are catfish, large mouth bass, northern pike, and bluegill. 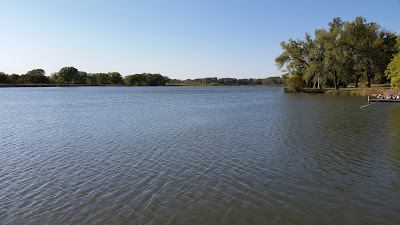 A Kansas fishing license is required to fish in the lake. There were about 8 or 9 campsites along the east side of the road and while there was a pretty good local day use fishing representation during the day I had my choice of spots as I was the only camper there during my two day stay. The Tank's site along Kingman Lake shore. 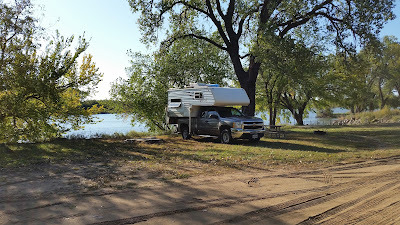 There is mild road noise at the camping areas at Kingman State Lake due to it being only a mile or so north of Kansas State HWY 400 but I didn't find it too intrusive. There is a boat ramp where several locals launched fishing boats onto the lake and there are also a number of floating piers that allow the "boatless" to fish the lake. 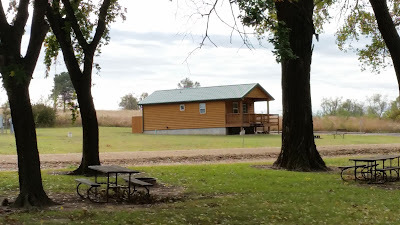 Out on one of my walks I came across some rental log cabins that were for rent although I couldn't find any information regarding rental costs at the cabins themselves or online at the Lake's website. From talking to some of the local folks i learned that Kingman State Fishing Lake is one of the better equipped state fishing lakes in Kansas and it showed with the brand new vault toilets and new rental cabins. 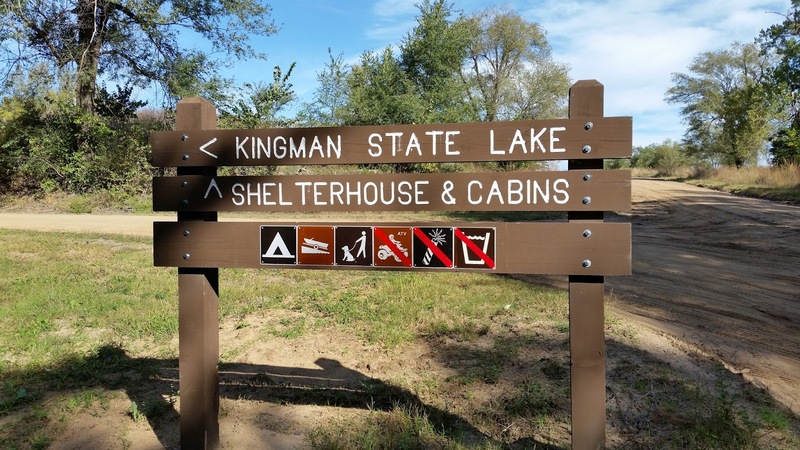 I liked the camping experience at Kingman State Fishing Lake and can fully recommend it. If I hadn't been on a schedule to get to Nashville I would have surely extended my stay. I now have another favorite spot to stay over on my east-west meanderings.